Used vehicle pricing includes all offers and incentives. Tax, Title and Tags not included in vehicle prices shown and must be paid by the purchaser. While great effort is made to ensure the accuracy of the information on this site, errors do occur so please verify information with a customer service rep. This is easily done by calling us at (866) 217-4112 or by visiting us at the dealership. Adaptive Cruise Control with Stop & Go, Blind Spot Assist, Cold Climate Package, Connect Pro Package, Drive Package, Gloss Black Grille with Gloss Black Surround, Gloss Black Roof Rails, Heated Front & Rear Seats, Heated Steering Wheel, Heated Windshield, High-Speed Emergency Braking, InControl Apps, Keyless Entry, Navigation Pro, Pro Services & Wi-Fi Hotspot, SiriusXM Satellite Radio, Xenon Headlights with LED Signature DRL. Clean CARFAX. CARFAX One-Owner. Odometer is 1489 miles below market average! 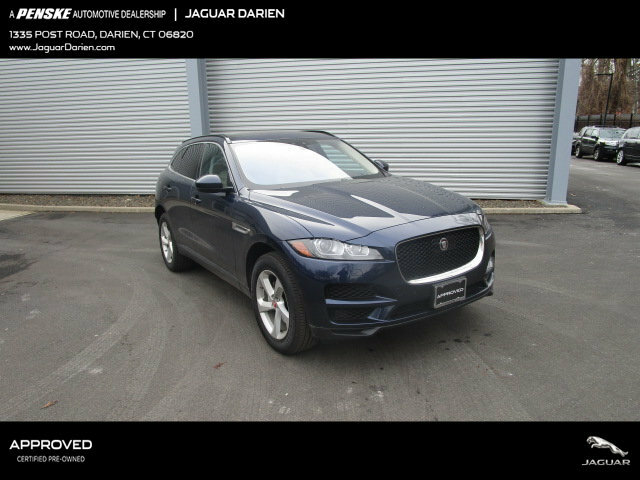 Own this CARFAX 1-Owner and Buyback Guarantee Qualified F-PACE today, worry free! 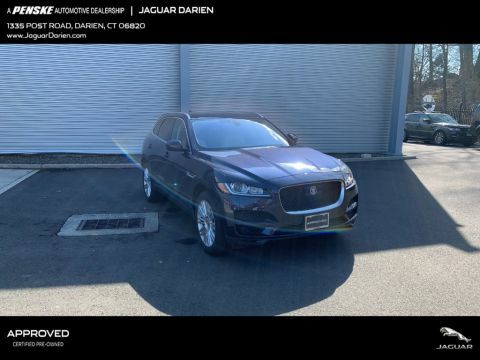 Enjoy these Certified Jaguar benefits a 150 point inspection, 24/7 roadside assistance, a warranty of: Jaguar offers two certification programs, dependent on vehicle year, mileage and use history., Standard Program: 5 year/100,000 mile Limited Warranty, whichever comes first. Eligible vehicles are no more than five model years old and have less than 60,000 miles. ;Off-cycle Program: 5-year/100,000-mile Limited Warranty, whichever comes first. Eligible vehicles are no more than 18 months from original in-service date and have less than 15,000 miles. ;Coverage begins on the vehicle's original in-service date and zero miles. ;24-hour Roadside Assistance includes flat tire, dead battery, lock-out, and towing to Jaguar Retailer. ;Every Jaguar Select Certified Pre-Owned vehicle comes with a Vehicle history report. ;See dealer for the Certification level available for this vehicle. Comes equipped with: Cold Climate Package, Connect Pro Package, Drive Package, Gloss Black Roof Rails, Keyless Entry, Loire Blue Metallic, Navigation Pro, Siriusxm Satellite Radio, Traffic Sign Recognition & Adaptive Speed Limiter, Wheels: 19 5 Spoke (Style 5037), Xenon Headlights with Led Signature Drl. 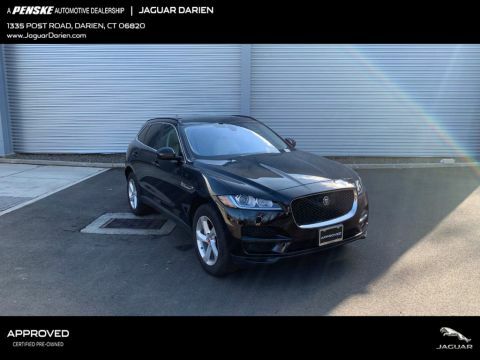 In order to fully enjoy a prestige automobile like a Jaguar, you need to work with a prestige auto dealership like Jaguar Darien. We offer the services, information, attention, and dedication to detail you want to make owning and driving a Jaguar as satisfying as it can possibly be. We have a brand-new facility built to the Jaguar brand’s design standard and proudly serve drivers and car buyers from Greenwich, New Canaan, Stamford, Norwalk, Wilton, and beyond. 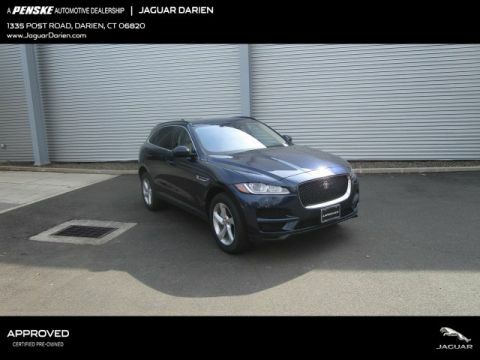 If you are looking for a dealership that fully reflects the quality of the automobiles that it sells, Jaguar Darien is the dealership for you.